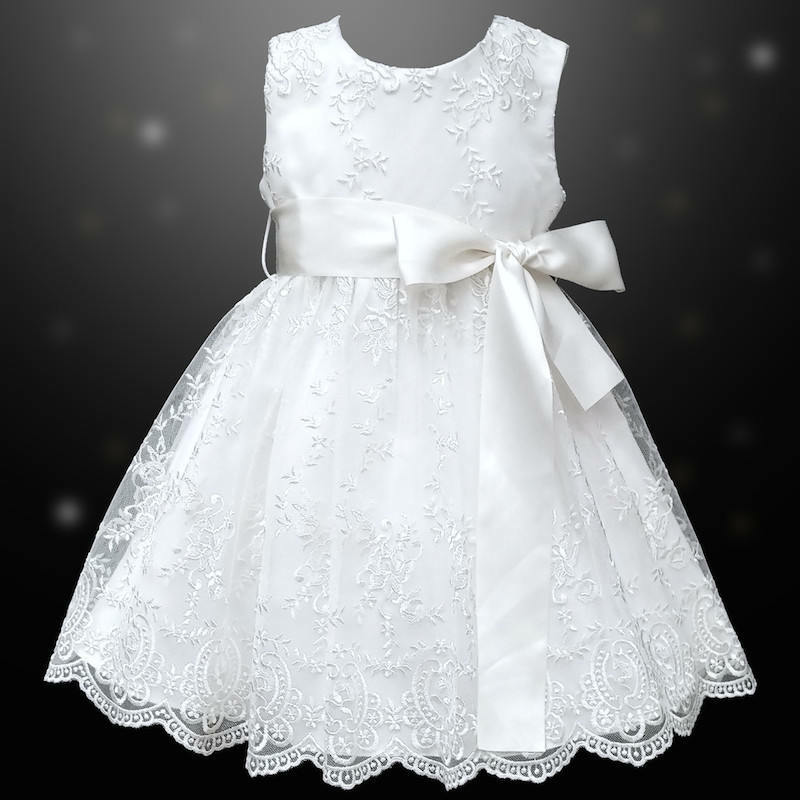 Luxurious girls white floral lace dress with satin sash suitable for baby through to junior girl, perfect for a christening, wedding or special occasions. Dress: This stunning white dress has a full overlay of floral lace set on organza. Sleeveless with a discreet zip fastening. Net underlay to create fullness with lining, completing this elegant design. Sash: A large white satin removable sash is to the waist so you can place the bow at the front, back or to the side. For an additional charge, change your sash colour to suit your theme from aqua, baby blue, baby pink, black, cerise pink, dusky pink, electric blue, gold, lemon, mint, navy, peach, purple, red, royal blue, silver, turquoise or wine.